I spoke at FRONTIERS, a design & innovation conference in Stockholm hosted by Doberman Agency, and shared how my work touches on the prerequisites of innovation: testing and exploring. Interviewed by Women In Tech about my creative process and how it influences my hopes for the future. Honored to be named as one of 100 talents who will influence the future of the international design scene by Icon Magazine. As part of the annual DocLab Interactive Conference, that brings together digital pioneers, artists and thinkers for a day full of inspiring presentations, visions of the future and audience experiments, I presented an AI generated Futurist eating performance created with Klasien van de Zandschulp. I gave a talk at FITC Toronto 2017 that explores how the senses can inspire new creativity in interaction design, human behavior and user experience, and why it’s important to WONDER. 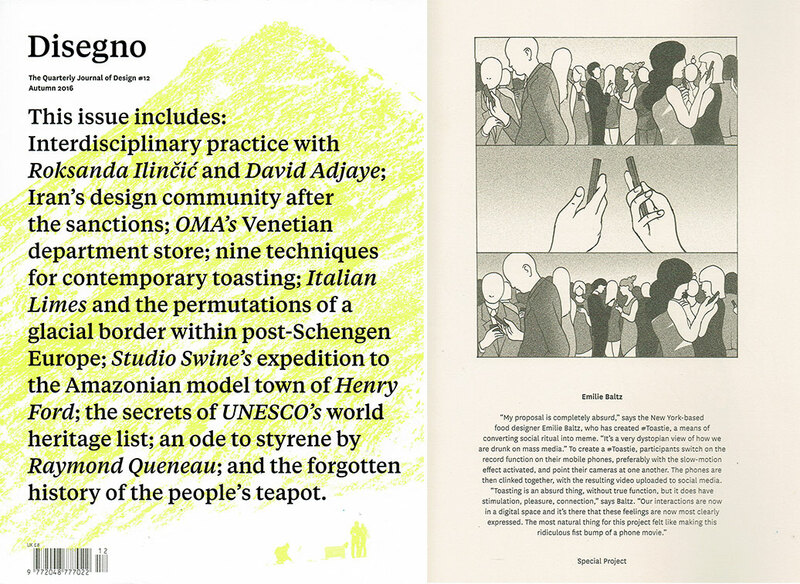 I reimagined the ritual of Toasting for Disegno magazine’s 12th issue. The Cotton Candy Theremin played at Panorama Festival in NYC! 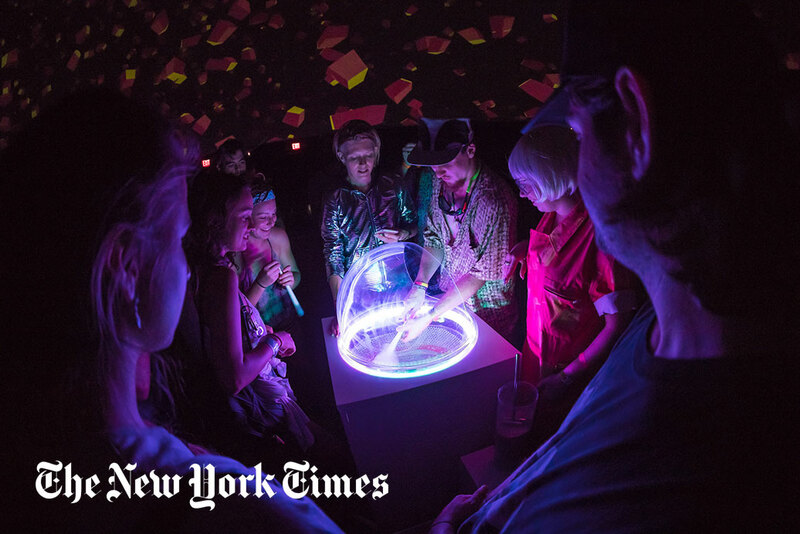 The New York Times covers the launch with a special shout-out to mine and Philip Sierzega’s Cotton Candy Theremin. 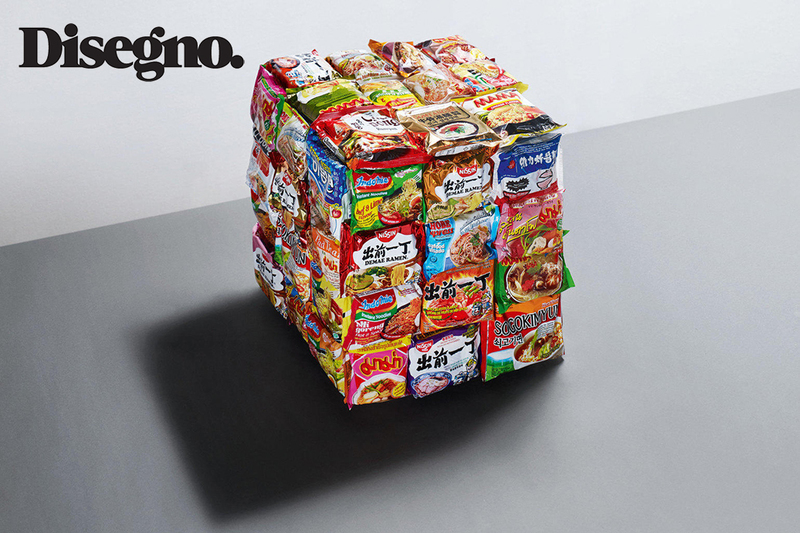 Disegno Magazine interviews me in their article on the new frontier of contemporary food design. My talk on the power of creative discomfort with Sophie Ann Kelly, formerly of the Barbarian Group, and Billie Whitehouse, was named highlight of Day 1 at Cannes Lions Festival. Watch it above. 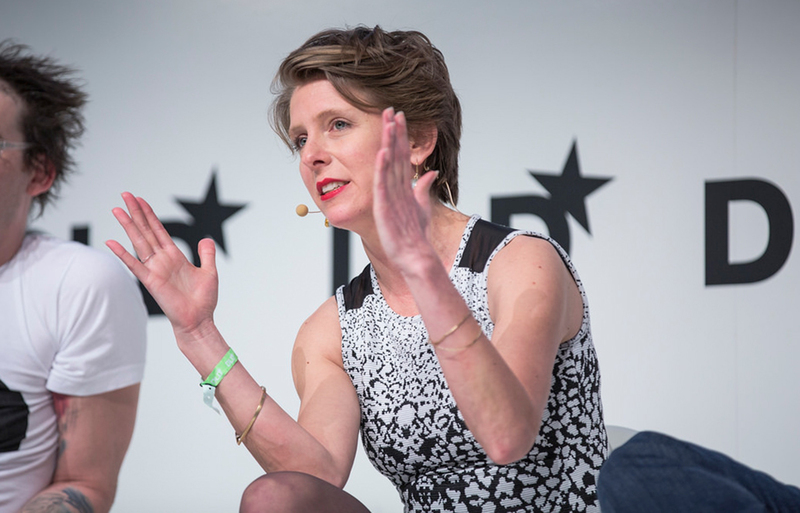 My talk on The Future of Food Panel at DLD2015 Conference. 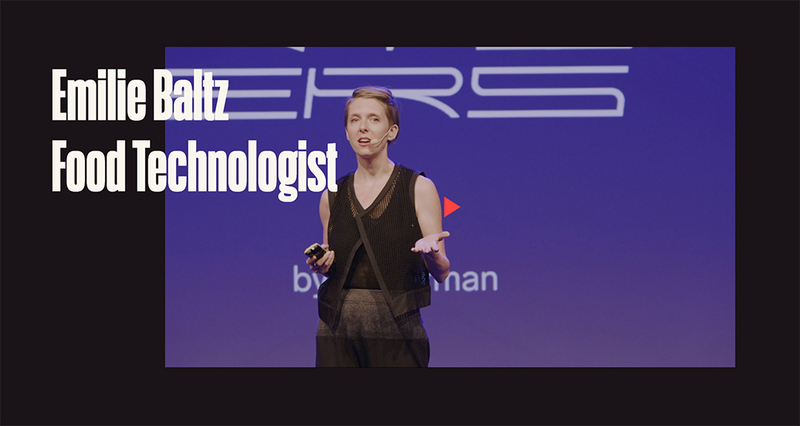 My talk on Food Design at 2014 PSFK Conference. I talk to TED-X Omaha about how our gestures affect our perception of food. I present the L.O.V.E FOODBOOK at PSFK conference 2013. 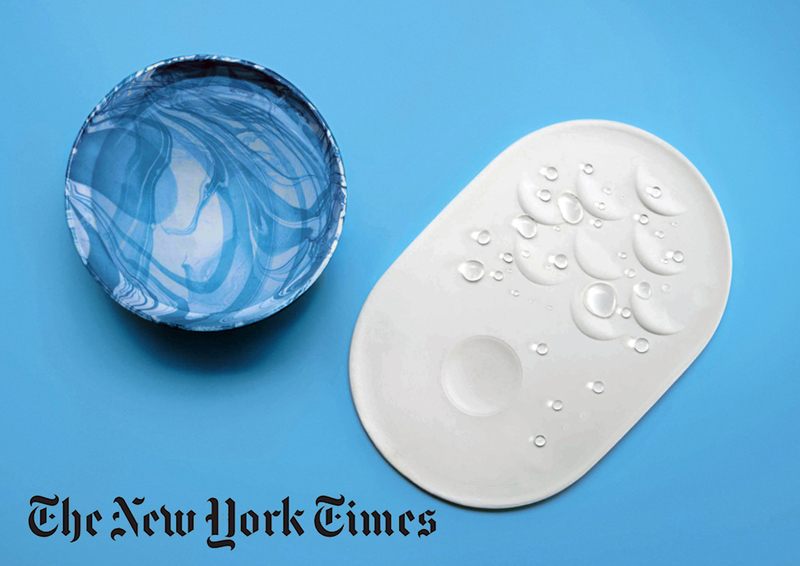 The New York Times interviews me on Food Design. 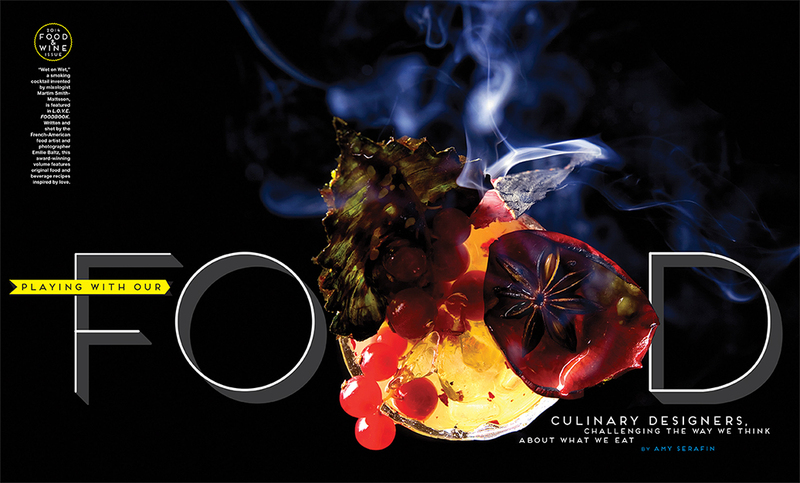 DaMN Magazine interviews me on dreaming, food design and sensory experience. Full article here. Eater features me as an Eater World Changer. 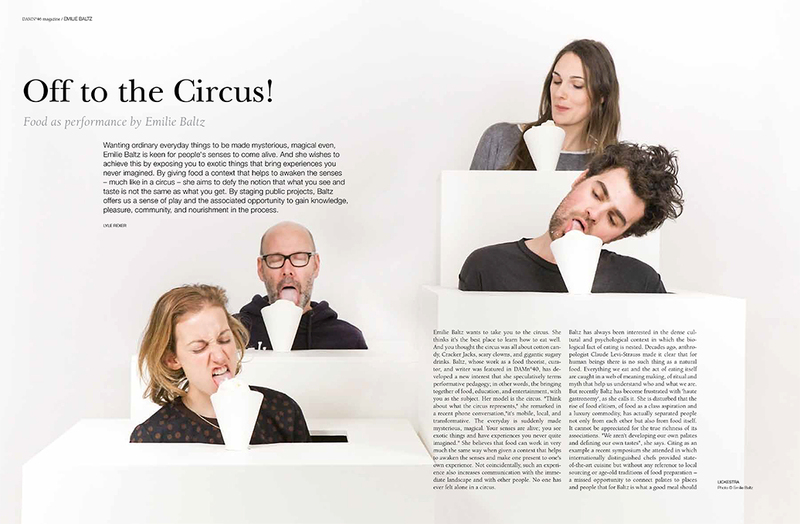 France Magazine interviews me on food, play and design. Full article here. I talk at Creative Mornings on what “Food Is” and my path to Food Design.